The detailed explanation of this method is the reduction of energy by cycling fasting intervals of 20 to 36 hours, repeated at regular intervals to reduce the total amount of energy, which is consumed by the person amid his energy expense in time. The diet is also known as Intermittent fasting or I eat – I do not eat – I eat. What kind of diet is the Intermittent Fasting (IF)? This is a diet for the reduction of fat, which relies on a periodic caloric deprivation for a period of 20 to 36 hours, which may be alternated with a normal diet for certain periods of time, and can also be casual in the system, again for a certain period of time. This method has quite a lot of varieties and versatile applications, but in all of them there are always periods of deprivation of food (calories), ie fasting. The reason hunger is the basis of the system is that for short intervals of time it is doing a few things that are not possible to be made with the systematic three-four or more times a day feeding. Increases insulin sensitivity – so fewer insulin molecules can do more work to avoid a deposition of fat. During the hunger, the body does not produce or produces small amounts of insulin and it is sufficient to do all the work for the transportation of substances in the body. Creates a negative calorie balance in the scale of the caloric week and through daily activity and basic metabolic exchange (BMR) it is implemented significant energy consumption. The periods are long enough to start burning fat and not long enough to start a serious decline in the total metabolic rate. Simply said, starve once to three times a week every other day or two for 20 to 36 hours, as the period includes the time for sleep. Example: If you choose to starve on Tuesday the hunger starts after an early dinner on Monday and ends with a late lunch on Wednesday. This system is a kind of calorie and carbohydrate rotation and has all the positive aspects on insulin levels. It allows the achieving of a negative caloric balance on a weekly basis and great potential for reducing the weekly kilocalories ration compared to the monotonous modes (eating the same kcal/day every day). Person X has a daily need of 2000 kcal in order to maintain weight (= BMR * coefficient according to the formula). He chooses to follow a monotonous evenly balanced diet of 1500 kcal for 4 weeks. The weekly energy consumption is approximately 13,850 kcal averaged over the entire period since the body slows down the metabolism and compensates for the shortage of calories each day. With 1,500 x 7 days per day = 10,500 kcal per week. The receiving of only so much energy will create a shortage of 3350 kcal/week. 4 x 2000 = 8000 kcal / week. What is the difference? In biomathematical terms, the person would burn 2500 kcal more. Do not forget that this has a price – if there is no estimated food intake in the days of eating. The metabolism slows down again in time, but to a lesser degree, as overnight sleep in energy shortage (body adapt your metabolism greatly during sleep) are 4 less compared to the monotonous restrictive diet. 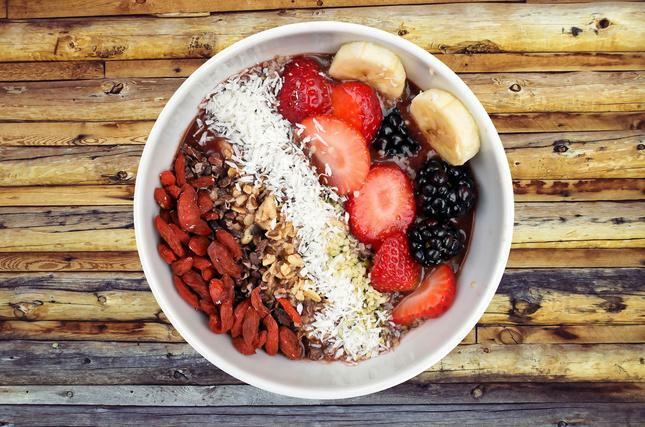 This type of diet forces the body to be in a mode of accelerated catabolism of substances through most of the day, during the most active part of the day, during which energy is consumed. The main calories per day, including the majority of the carbohydrate ratio, is consumed in a narrow window of time of four to five hours a day. Most often this is the time from late afternoon until evening. The specifics vary for the popular methods that are using the principle of daily fasts. Here are combined several large fasts with several small and days with normal feeding. Example: Monday, Wednesday and Friday normal feeding, Tuesday and Thursday – fasting and over the weekend – fasting during the active part of the day and eating in a narrow interval of time from late afternoon until dinner. There are a lot of different combinations. The principle of distribution of fasting- during the active part of the day so to be able to rely on maximum utilization of fat stores. It is believed that it increases the cellular mode for resistance to toxic stress generated by an oxygen deficiency. The effect resembles the results of systematic sports. Also, it has a protective role in the central and peripheral nervous system and cardiovascular system. It allows the achieving of the highest calorie deficit per week/month and a minimum delay of the metabolism, compared to other known methods. It is easier compared to the closest by effect (slowing metabolism) option – rotary diets. It does not put bans on food as long as you follow certain norms according to the periods of the hunger. Works perfectly for immobilized people, the elderly overweight (obese) people, people with high-fat levels and low body mass, which can not induce additional energy expense with the sport because of the low potential for this (lack of training) and/or slow recovery. Endomorphs are most beneficial from the Intermittent Fasting method. It helps to “clean up” the digestive system. Excellent diet for people with conditioning or modest fitness goals dealing with intellectual labor or low physical activity during their working day. Of course, this diet does not only burns fat. As with any form of restriction, here we also have a loss of muscle tissue. This is a negative for an active athlete. affects the glycogen stores in the muscles and reduces the sarcoplasmic growth in muscle mass. you can sport and train and you can not perform a drill with a large total weight lifted or energy expense because the recovery of muscles will be hindered during fasting. In other words, if you’re an athlete with a fast metabolism (high body mass + large capacity of kcal/day), even if you have 20% body fat – with this method of feeding you may be more detrimental than beneficial. The use of Intermittent Fasting is not suitable for people with athletic activities in terms of functional or visual criteria. If you want to shred yourself or you want to lift heavy, do not start with it. The effectiveness of the method is sharply declined by the uncontrollable food intake on days with food. The reason is not in the excessive intake, but in the possibility to eat less than is needed. This leads to the preservation of the metabolism and a reduction in body mass. For sportsmen – to overtraining. The efficiency drops after passing the 20% body fat, and the further reduction in weight leads to decreasing mainly of the active mass, including muscle. This automatically excludes the combination: massive musculature of an advanced athlete, clean press, and Intermittent Fasting Diet. It could lead to a fall in blood pressure and to a lowered blood sugar. It is not recommended for insulin-dependent diabetics, for purely pragmatic problems in regulating the insulin intake. Fasting is a problem for people with ulcers and gastritis. Intermittent Fasting Diet is not for people with unstable mentality and problems with self-perception and acceptance. This includes bulimics and anorexics or prone to lurch into extremes. Research conducted with rats showed an increase in life when feeding on the model of periodic fasting even without a substantial calorie deficit. It is believed that the reason for the overall beneficial effect of Intermittent Fasting Diet lies in the reduced volume of the accepted calories and moderate ketosis. In studies with laboratory animals subjected to several weeks of following Intermittent Fasting, there are confirmed biochemical parameters mentioned: increased insulin sensitivity, reduced levels of blood glucose, increased growth factor IGF-1, decreased levels of leptin, increased levels of beta-hydroxybutyrate. The effects are: better use of insulin, increased incentives for growth, reducing fat deposition, increased activity of fat in the metabolism, increased antioxidant activity and better protection against toxins and free radicals. Studies of people are at the very beginning, but they confirm most of the findings in animals. Periodic fasting by the method 1-3 / week requires days with increased carbohydrate intake, and because of that, it is synchronized with Evenly Balanced Diet (EBD). Applying a low-carb diet to maintain the weight and even High-Fat- Low-Carb Diet (HF-LCD) on days with food cannot provide sufficient incentives for maintaining metabolic rate in the “recovery” and in fact dramatically increases the specific energy shortage (the glucose and its metabolites) which affects the muscle and liver glycogen in time. The benefits of both systems of feeding overlap, but do not increase – on the contrary, they lead to a rapid slowdown of metabolism, even if you are in a small calorie deficit. So if you choose to use the method of intermittent fasting, direct your feeding in the days of food to EBD or even High Carb Diet (HCD) if you have a high body mass. In fasting days do not eat slowly degradable food (mature legumes and nuts) as well as foods with low water content and high calorific value. Avoid foods with a high glycemic index and low glycemic loading. After all, it is a “fasting” day. foods rich in fat and sugar – chocolate, ice cream, pastries, cakes and other fascinating and delicious junk of the modern food industry. “Good foods” for regular days at an all-day intermittent fasting 1-3 / week and mixed method. These are all foods available in your chosen supportive diet, whether Evenly Balanced Diet or High Carbohydrate Diet. “Good Foods” for hungry days at an all-day intermittent fasting 1-3 / week and mixed method. In this day calories from vegetables and low-calorie liquids are consumed. These include soups, yogurts, low-carb fruit juices. Use your imagination as you try to consume no more than 20-40% of the calories of a regular day with food during the whole fasting day. When using a system of daily fasting during the hungry hours you can eat low-calorie foods like soups, vegetable purees and juices, yogurt, protein, and 40-60% of the daily calories must be consumed in a narrow time window (3-5 hours in the second half of the day), emphasizing on the natural foods with moderate glycemic index and moderate to high glycemic loading. Protein distribution follows the curve of calories. This is the main disadvantage of most diets of daily fasting. Detailed information about the distribution of food can be read in the complete guide to the Warrior Diet which is an Intermittent Fasting Diet on daily basis. The choice of food in times of intense nutrition follows the selection of Evenly Balanced Diet or High Carbohydrate Diet. Intermittent Fasting Calories: How many calories? How to distribute the calories? In fasting days 1-3 / week methodology: 20-40% of the calories in rate (BMR + coefficient). In the half-starving days, that are appearing as an intermediate for 1-3 / week methods: 40-60% of the rate in the narrow time interval for intensive nutrition. In the half-starved days that are based on methodologies with daily fasting: 60-40% in fasting hours of very small portions and 40-60% in the narrow time zone for intensive nutrition. The caloric balance for the whole day here is selected according to the method and objectives (reduction of weight, maintenance of weight, muscle mass). Days with food: 100 to 200% of rate, according to the objectives- weight loss or body transformation (maintenance of weight with reduced % body fat and rising body mass). Intermittent Fasting Workout – Find the right Training for you! Training and implementing the Intermittent Fasting have a similar impact as incentives and final effect on the body and the metabolism. To increase the final effect it is necessary to follow the program to ensure that the calories in regular days of food will provide your body with enough energy so that it does not lead to calorie crisis and a sharp slowdown of metabolism. This is not easy if there is no calculated diet. The оmission of even 500 calories in a regular day can bring you hypoglycemia in the next fasting day during sports activity. So be careful when calculating the caloric balance – do it on a weekly basis to see how many % are in a negative calorie balance of your norm. If you get it wrong at this point you will only have wasted time in the sports center. Even worse – overtraining might occur. If this is your main method even if it is practised with lower calorie restriction (10% negative calorie balance) in the scale of time it excludes systematic bodybuilding and CrossFit workouts and all other workouts for strength endurance with high-calorie consumption. The power-conditioning workouts are suitable. Cardio in his classic prolonged and monotonous option is not appropriate for the diet. It is possible to include a high-intensity interval cardio with short sessions of 10-15 minutes, once to twice a day. There are no training limitations. All kinds of sports and exercise are suitable, the duration of which will not displace hours of regular meals. Power conditioning, strength training with moderate and low volume are suitable. Low-intensity workouts with longer duration and lower energy expense as Yoga, Pilates, stretching are suitable as well. It may include interval cardio in a short session. Stick to low-intensity training activities of short duration and low energy expense – Pilates, yoga, stretching, isometrics, tai chi, etc. No cardio. Things here vary extremely according to the specifics of the method. General conclusions as in the previous two methods of fasting are not possible. Such diets are usually either developed in an entire concept as a system of feeding and training or they are made individually by an expert for a specific customer. As a whole, when the calorie balance for a week is cleverly calculated, the principles and methods that follow the Intermittent Fasting Diet, do not create a danger to a healthy person in an active age. 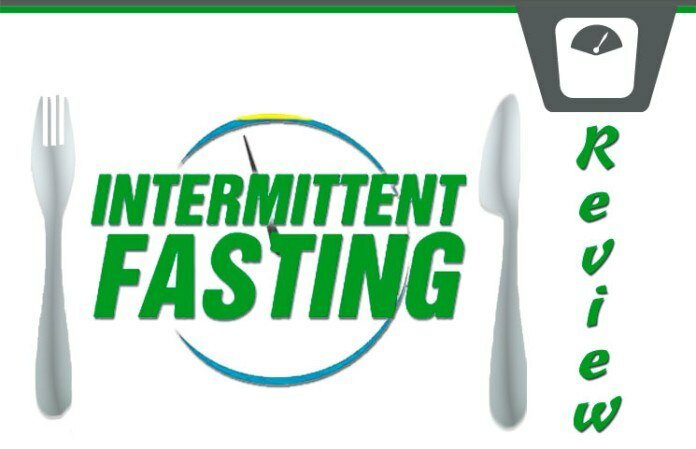 Daily fasting: the possibility of overloading the kidneys and liver with proteins (uric acid and urate) in the case of overeating in the area for intensive nutrition. Avoid it if you have liver and kidney diseases. Bouts of hypoglycemia and a drop in blood pressure, avoid if you have fluctuations in blood pressure or if you have insulin-dependent diabetes, because of the difficulty in calculating the dose of insulin and monitoring of the half-life of injected insulin. All day fasting 1-3 / week: reduced risk of poisoning urea and urate amid in the daily fasts, and the increased risk of hypoglycemia compared to the daily fasting. If you are diabetic apply this nutrition program under control, whether you are insulin-dependent or not. Combined option: all risks listed above. If this Weight Loss with Intermittent Fasting Diet article was useful to you, please use the share on social networks button so it can reach more people. Thank you! 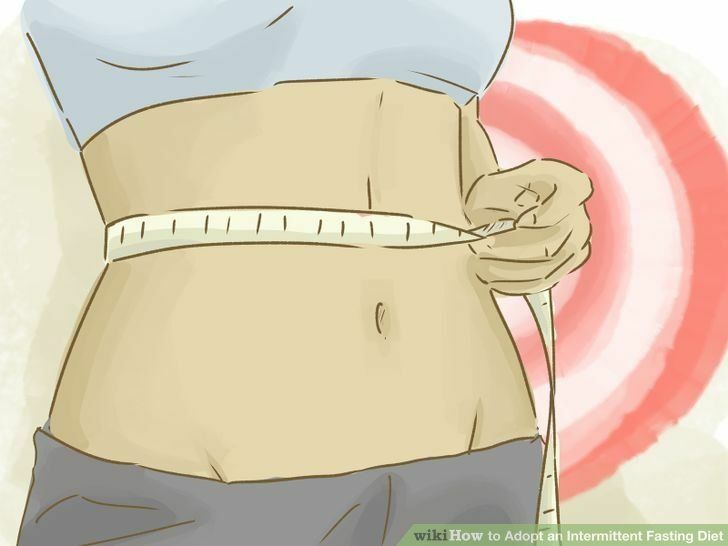 How to Gain Weight? 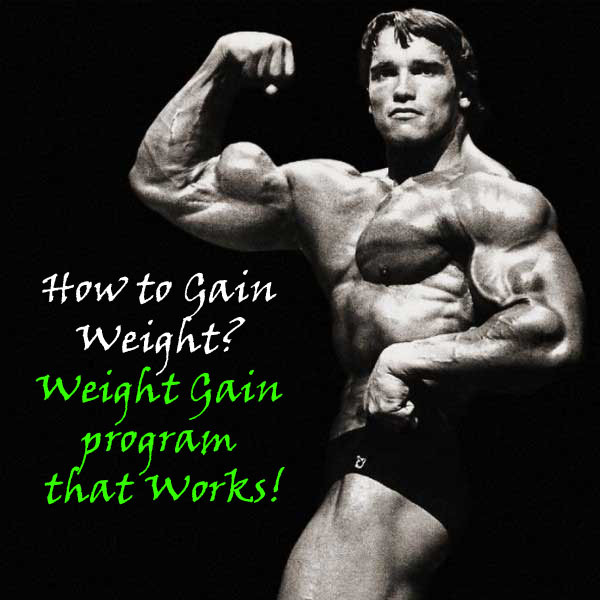 – Weight Gain program that Works! How to go on a Diet?